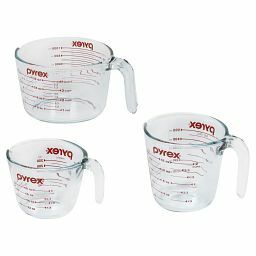 Prep ingredients or stow extras with this large lidded glass measuring cup. 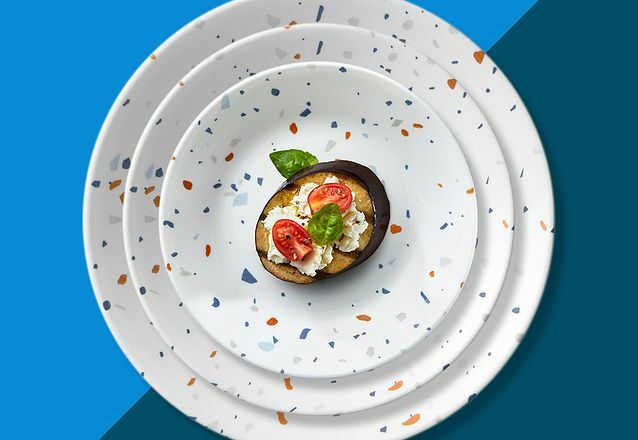 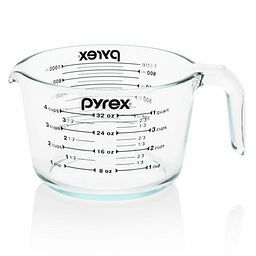 Just measure, mix and pour. 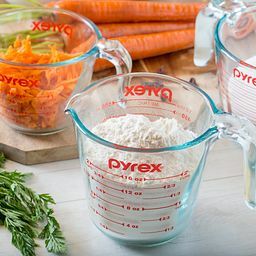 Combining sleek black markings for at-a-glance precision with enough room for a whole recipe's worth of ingredients, this extra-large measuring cup is a multi-use tool no kitchen should be without. 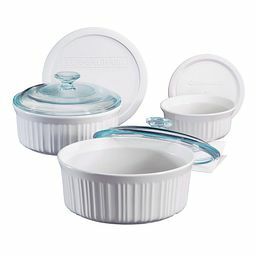 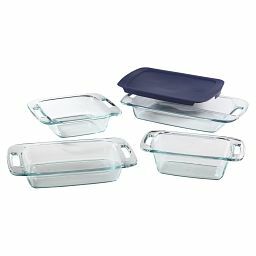 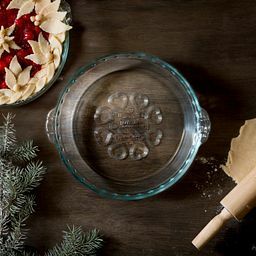 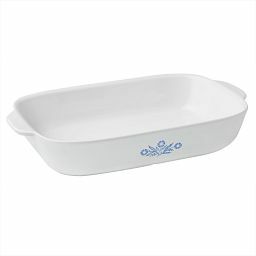 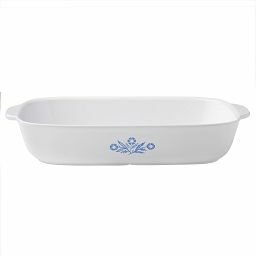 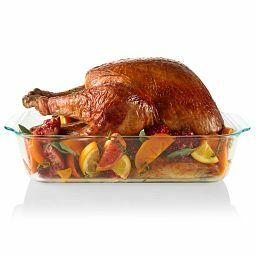 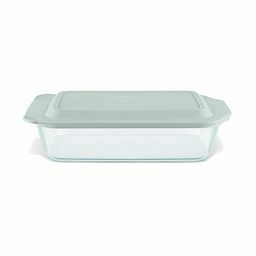 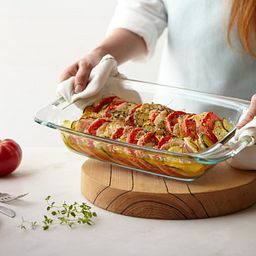 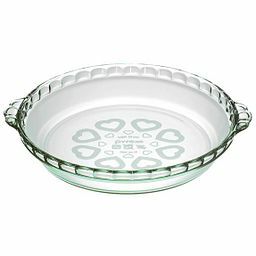 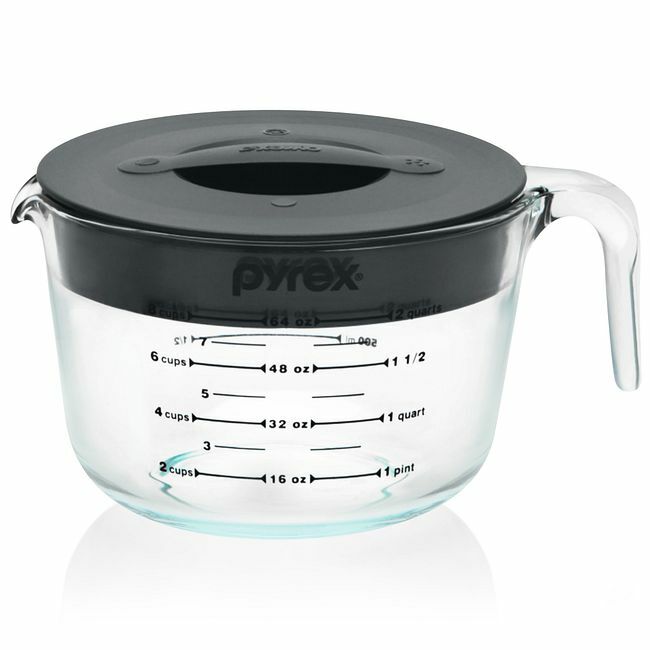 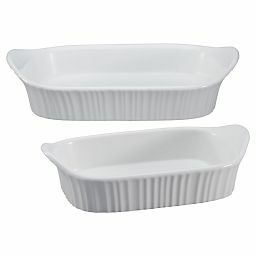 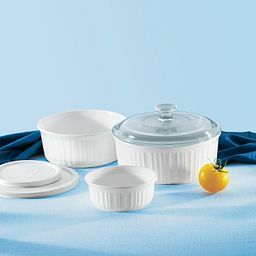 The handle and spout are designed for controlled pouring, and durable Pyrex glass is heat-proof and easy to clean.